Motorola today unveiled the next-gen Moto 360, featuring two sizes for men alongside separate collections for women and sports. The refreshed version of the smartwatch features a thinner body and more than 300 customizable options on Moto Maker, allowing you to pick anything from bezel colors and materials to leather or metal bands. 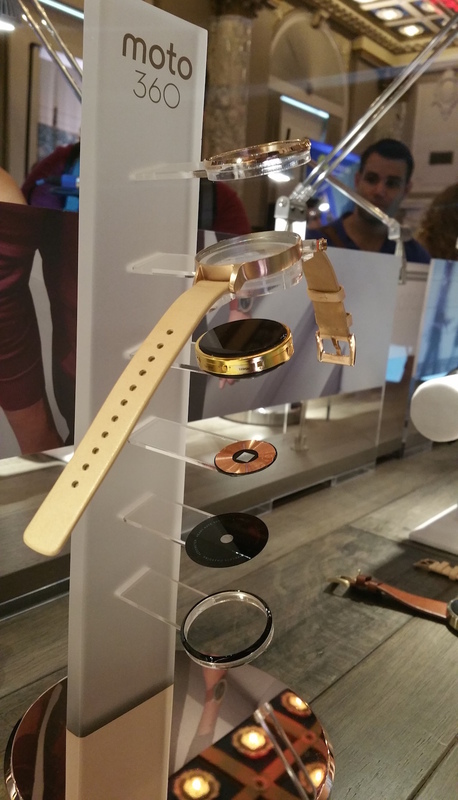 The classic Moto 360 comes in two sizes: 42 and 46mm. The Moto 360 features a ‘quick release’ band attachment mechanism so you can use your own straps if you don’t fancy any of the options on Moto Maker. It also runs on Wi-Fi in case you’re out of its Bluetooth range. As you might’ve noticed, the flat tire at the bottom of the display is back. Motorola says it requires this feature to maximize the screen-to-body ratio on its circular design, “folding” the display and sensors under the oft-hated lower bar. The ambient light sensor is also hidden under the flat tire to help automatically adjust screen brightness. 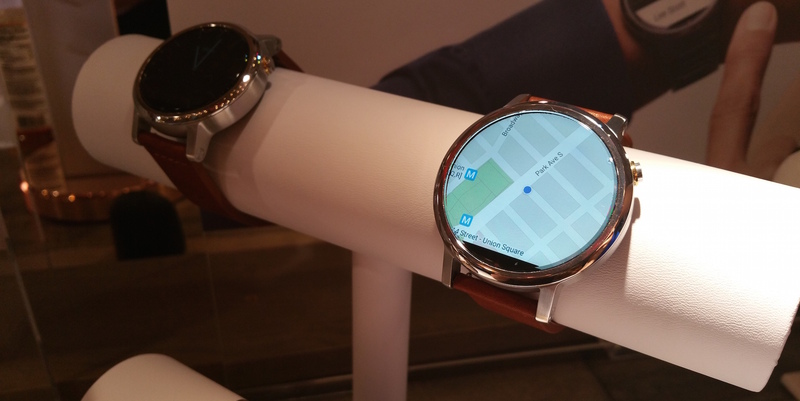 The company says the Moto 360 offers roughly 22 percent higher screen-to-body ratio than the Apple Watch. Basically, you’ll just have to deal with it. The Moto 360 collection now offers a special sizing just for women, with thinner bands to better compliment the female frame. In a demo, the device fits great on my very petite wrists – the first time a smartwatch didn’t require using the last hole to fasten comfortably. The thin leather bands look much better on smaller wrists. 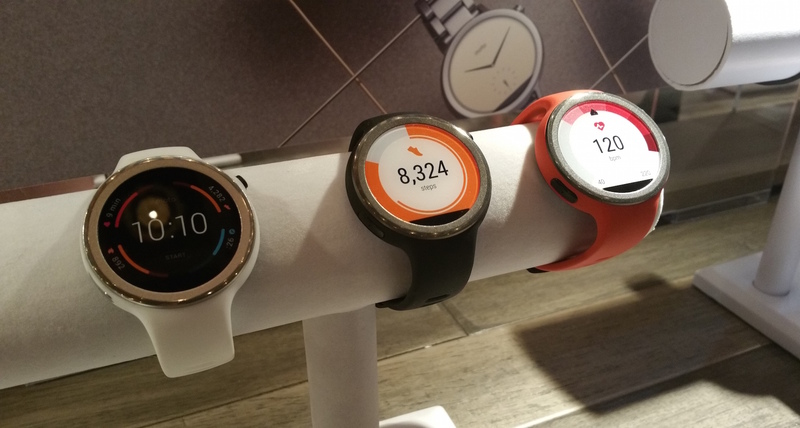 Motorola also confirmed a Moto 360 Sport collection, featuring a unibody silicone build that’s sweat-resistant. 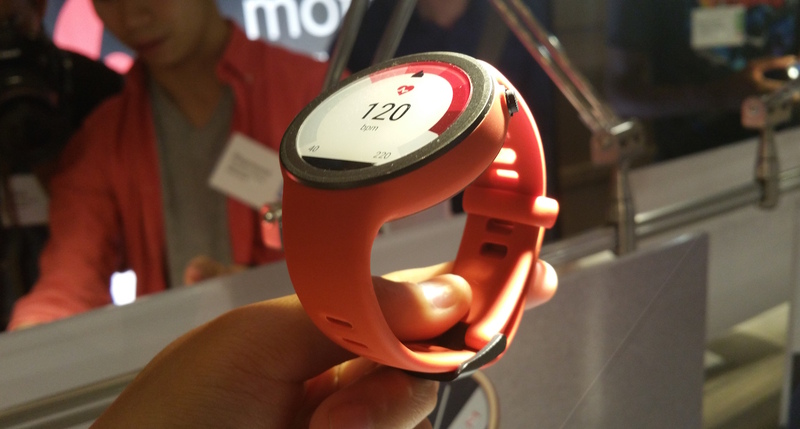 It’s got built-in GPS and a better heart rate sensor to help fitness users track their performance throughout the day. Motorola’s still working out the details of the Sport edition, so stay tuned for more update. Battery life for all three collections is said to last two full days, though those claims will need to be tested. As with the previous version of the Moto 360, all three collections of the watch run on Android Wear, which now has hundreds of third party apps, including Google Translate, Facebook Messenger and Lyft. Android Wear now supports a slew of new interactive watch faces, such as customizable complications and pairable watch faces so you can update partners emoji or messages throughout the day. This week’s update also made future Android Wear devices compatible with iPhones, so you can use the new Moto 360 with devices running iOS 8.2 and up in addition to Android phones. The Moto 360’s men’s and women’s collections are up for pre-order on Moto Maker, Google Play and Best Buy today starting at $299 in North America, Latin America, Europe and Asia. The device will ship mid-September, with in-store launches at Best Buy, Verizon and Nordstrom to follow. 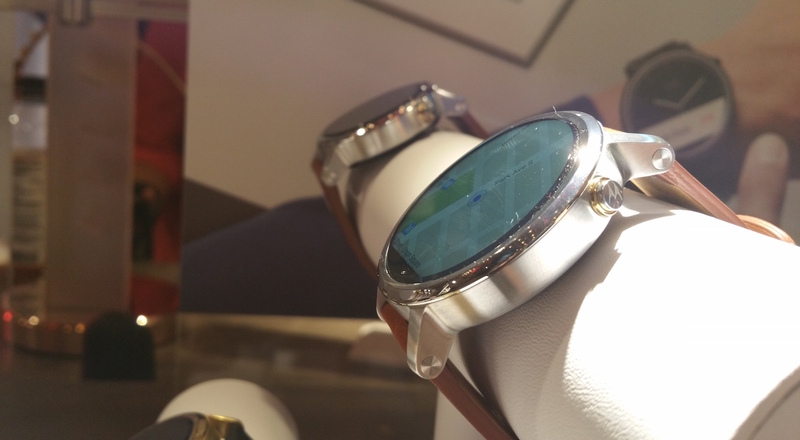 No details yet on the Moto 360 Sport’s availability. 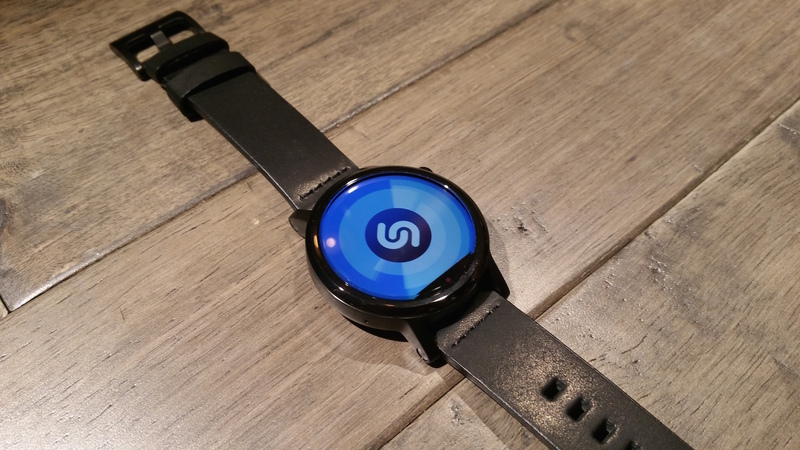 We’ll be playing with the Moto 360 for the next few weeks, so be sure to check back for the full review.